Age 97, of Robinson Twp., formerly of McKees Rocks, peacefully on Wednesday evening, April 3, 2019 at her residence with her family by her side. 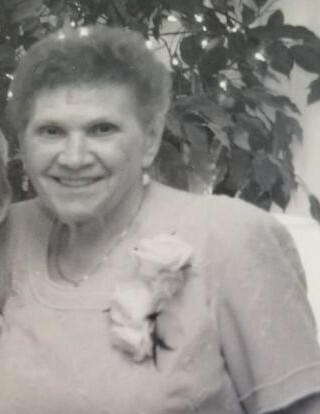 Beloved wife of 48 years to the late Frank S. Kownacki; dear mother of Tony (Karen) Kownacki, Thomas Kownacki, Susan (the late Joseph) Dawgiello, Barbara (Gary) Ambrose and Carolyn “Angel” Midili; grandma of Jill Ann Dawgiello, Kylene (Matthew) Paul, Joseph Michael Dawgiello, III, Frank (Stefanie) Ambrose, Megan (Derek) Leopardi and Matthew Midili; great-grandmother of Jorden, Alexis Rose, Devin, Joseph, Brennan, Grace, Luke, Emilia, Dominick, Marliana and Augustine “Gus”. Family and friends are welcome for visitation on Sunday, 2-4 and 6-8 p.m. at the ANTHONY M. MUSMANNO FUNERAL HOME, INC., 700 7th St., McKees Rocks, PA 15136. Mass of Christian Burial on Monday, 9:30 a.m., St. John of God Parish, the Church at St. Mary's. In lieu of flowers, memorial contributions may be made to Kindred Hospice, 5315 Campbell's Run Road, St 190 Pgh., PA 15205. Please view and sign the family's online guestbook at: www.musmannofh.com.